"Josh Lowe's Dr. Energy Saver was the company chosen by Janice and David B. of Grants Pass, OR to replace the old leaky windows and insulate the attic at their home. After getting estimates and proposals from other local companies, they concluded that Josh Lowe's Dr. Energy Saver was the only one offering a combination of great service, quality products and reasonable prices. The couple couldn't be happier with their choice. In this video they talk about the experience they had with the company during the entire project. They were really impressed with the installation crew as well. The job was performed during the summer, when the temperatures reached triple digits for a few days, and the crews kept on working, regardless. "They arrived on schedule, and they actually even finished earlier than expected. So that was a really good bonus," says David." "Mari An's home in Grants Pass, OR was extremely uncomfortable during the summer. In hot days the air conditioning just couldn't keep up with cooling the entire house. While visiting a home show, she learned about Josh Lowe's Dr. Energy Saver and all the services they provide to fix comfort and energy waste problems in homes just like hers. She then decided to give them a call -- and she was glad she did. After they sealed the ducts, air sealed and insulated the attic, her home is much more comfortable and her air conditioning doesn't even need to run as often as it did before!" "Stephanie S.'s home in Grants Pass, OR was very hot and hard to cool during the summer. As many homeowners think, she, too, thought that the problem was with her air conditioner, assuming that it was just not big enough to keep up with the demand. She initially called Josh Lowe's Dr. Energy Saver to inspect the air conditioner and the furnace, but tests concluded that there was nothing wrong with them. The technicians then performed a comprehensive home evaluation to detect the sources of the problem and recommend the best solutions. "We discussed what needed to be done and what I wanted to be done. It was left up to me how much I wanted them to do," she says. She is so satisfied with the experience and results that she recommends the company to family and friends." Too many homeowners suffer the consequences of insufficient insulation, air leakage or drafty windows. Not only do you lose control over the temperature in your own home, but you are likely overpaying on your energy bills. Fortunately, with the help of a quality, caring contractor, you can make your home more energy efficient and enjoy it once again. Josh Lowe's Dr. Energy Saver, previously named Lowe’s Weatherization, is dedicated to properly weatherproofing homes. We install insulation and replacement windows and provide homes with air sealing and duct repair services – and that’s just the beginning. We will even perform an energy audit to pinpoint trouble areas! Ever since we opened in 2006, we have listened to our customer’s needs, making them comfortable and saving them money in the process. What began as a window replacement company has quickly transformed into a home energy and comfort expert! Joining the Dr. Energy Saver dealer network has given us even more ways to help our customers. Trust us to get the job done and we will share a lifetime relationship with you! Josh Lowe is passionate about helping homeowners live more comfortably in an energy-efficient home. 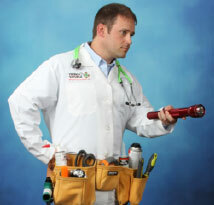 Today, the employees at Josh Lowe’s Dr. Energy Saver are just as committed as he is to grow as a team and improve with the ever-changing techniques and tools to effectively change the way people think about energy, and the ability to save people money while lowering energy consumption. We are extremely motivated to become a big part of our community, constantly gaining new customers and hiring new employees to build relationships for a lifetime and continue to affect the lives of many. We want to build trust between our employee and customer, which is the key to our success and why we guaranty our service, provide unmatched quality installations, and provide consistent training like no other for every employee. 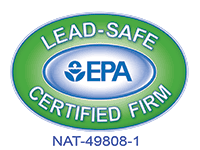 Josh Lowe’s Dr. Energy Saver is accredited through the Environmental Protection Agency (EPA), as well as the American Architectural Manufacturers Association (AAMA) as a master window installer. We are also affiliated with the Energy Trust of Oregon (ETO), the Springfield Utility Board (SUB), and the Housing and Community Service Agency (HACSA). We are also members of the Eugene Builders Exchange and the local Home Builders Association. All of our relationships prove our devotion to bettering our community. They assist us in offering state of the art energy-loss solutions to local homeowners and businesses. We service residents in the Oregon and southern Washington area and can guarantee your satisfaction! If you’re looking to get started on improving your home, contact us for a no cost, no obligation estimate. Be sure to inquire about our financing options!